Inspired by mid-century modern design, the contemporary KOR Sling Lounge Chair features an edgy design with a curved back and arms and arched, angled legs. The outdoor lounge chair features Tropitone's durable sling fabric, creating a modern look and enhancing comfort. 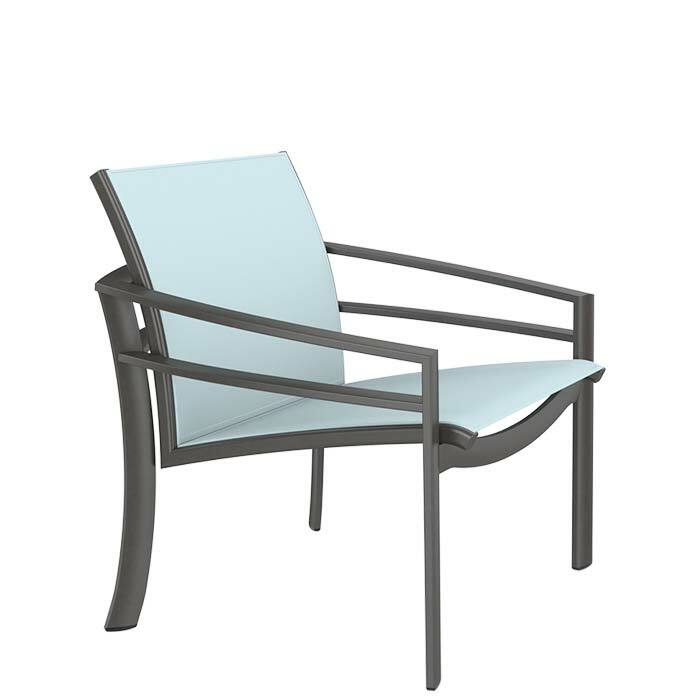 KOR Sling Lounge Chairs are sure to provide a fresh environment on your patio.